To many of us, Popups usually seem annoying. The question is even after seeing the negative response of users, why marketers still seem to be interested in popups? The reason is that when used in strategic manner, popups help e-tailers in raising the ecommerce conversions and sales. The concern here is to apply popups in an efficient manner. It has been seen that even a delay of 2 seconds can affect the subscription rate, conversion rate or other related action greatly. Through this blog we will be analyzing what are the best popup strategies and practices for eTailers. Adding live chat popups, suggests that you are actually concerned about your users and want to answer all their questions at the earliest. You should be concerned about whether you are meeting the needs of your customers throughout the purchase tenure. Not only the existing customer base but also the potential customers would be needing some spot where they can share their concerns. Live chat is an excellent way to offer them support. This feature lets the customers chat with you in real time and ask for advice, which will ultimately help in building confidence and gaining faith. Here are some practices that you can incorporate in your live chat feature. You should always be available for your customers at the beck and call. While the customers are on your site, the live chat feature would let them contact you without the need to look for an email address or phone number. Consumers are always looking for a quick option to contact the customer care cell, so make sure that you launch the live chat option swiftly. You can experience instant rise in the average order values when you opt for live chat. This is mainly because the return rate gets low when the buyer has someone to rely upon when in a fix. They get quick access to the product or service they are looking for, hence letting them to make a purchase. As per a renowned live chat report, 62% reportedly were willing to purchase again while 38% of respondents said that they made their purchase only because of the chat session. The bounce rate would decrease further when there is someone available to help the consumers whenever they encounter any hurdle in the buying process. You can be sure that the shopping carts manage to make it to the purchase. Through use of email popups, you can expect your conversions to increase drastically. 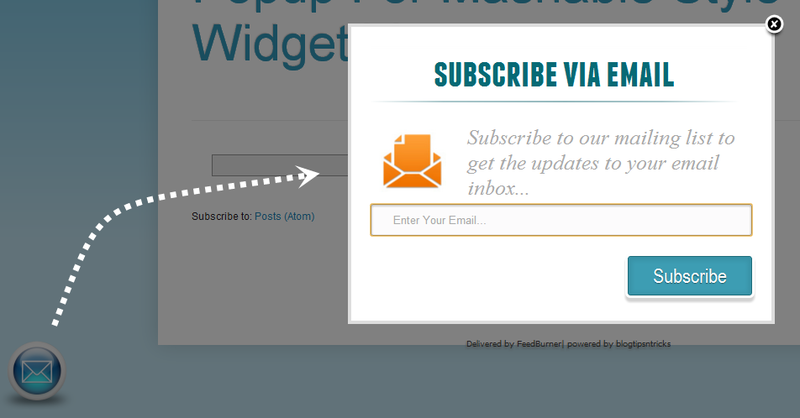 However, this is only possible when you follow the best practices for email popup. For anyone implementing them in website, the foremost thing is to know what these popups are about. 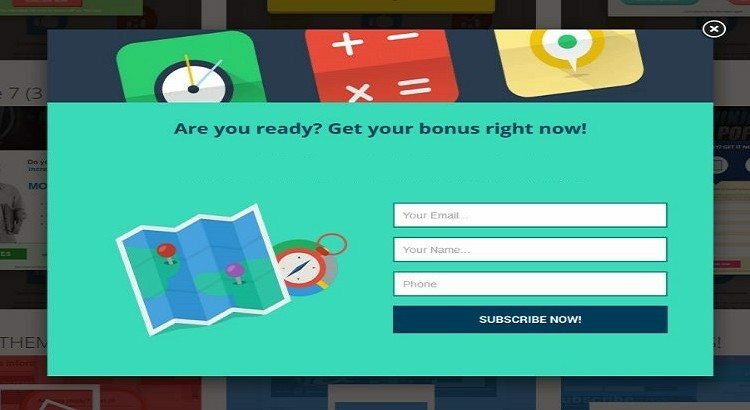 These popups show up when the user is about to leave site or when the user arrives the website for the first time. The purpose is to offer the users with something promising and in return asking them for their valued email address. The best ones are those that offer some tangible offer where the users get to know what exactly they are getting in lieu of offering their email address. 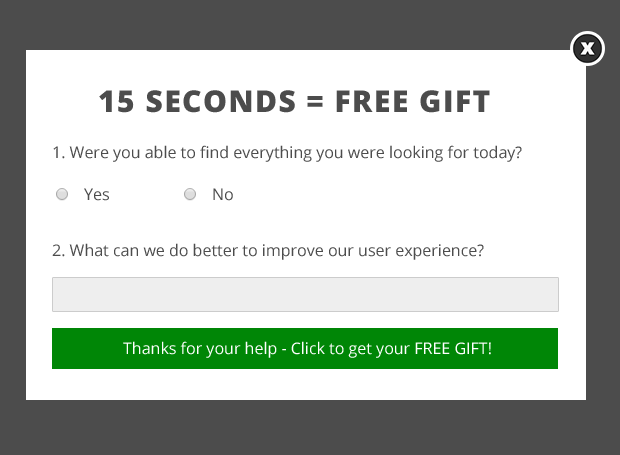 At the same time, Exit-intent popups could be utilized for asking the user to offer you one last chance to get the customer’s business. The best part is that these popups are not blocked by popup blockers anymore as these are less annoying then popups that jump out of nowhere and irritate the visitors. You can offer the visitor with some additional discount, cash back offer, redeemable coupons etc. as incentives to make them sign up and simultaneously to increase the conversion rate. Make sure that such surveys show up after some delay. Don’t make them appear as soon as the customer lands on your website. Because this might make the user ignore it or might even make them navigate away. Make sure wait for about a minute, hence offering the user some time to do some browsing. Keep them brief and concise, so that the user does not feel that there is too much to be filled. You can always create a reliable customer base through surveys. Make sure your surveys are well tested and are make sense at all points. Reward the customer with some discount coupon or other benefit for completing the survey.